EVANS MILLS, NY (May 12, 2018) – Five-time Oswego Speedway Small Block Super winner Anthony Losurdo drove to his first career touring series victory in the Lighthouse Lanes SBS Series ‘May Meltdown’ event at the Evans Mills Speedway this past Saturday. Losurdo, wheeling a brand new FFB Chassis owned by Missile Motorsports and Mark Castiglia, started in the fifth position and made quick work of fourth starting Dave Cliff along with Evans Mills owner Vern LaFave in the third spot to quickly get up to a podium position in just a matter of laps. Early on, Russ Brown and David LaTulip, who had led the field to green from the front row, were battling for the lead just past the completion of lap five. That was when Losurdo decided to throw himself into the mix. Using the bottom part of the speedway off the exit of turn four, ‘Hawk’ marched past Brown, who was a surprise invader on Saturday evening, and took the lead on lap 9. As Losurdo took the top spot, the LaFave No. 97 had found its way back under LaTulip for the final podium position. Further back in the running order, sixth starting Brad Haynes just worked past last September’s ‘Fall Brawl’ champ Cliff to crack the top five. The first caution of the event waved right after the completion of lap 10, forcing Losurdo to have to fend off Brown to his outside on what would wind up being a numerous amount of double file restarts before the 30 laps was over. After things were sorted out, the green flag was quickly back in the air, but five laps later, seventh starting Tim Proud had also worked past Cliff on the restart. While attempting to pass Haynes for the fifth spot just past the halfway point, Proud lost the handle on the No. 54 in turns one and two, bringing out the yellow flag for a second time. Just as Proud had caught up to the tail side of the field under yellow, LaFave, who was running in third, was forced to stop on the frontstretch with sheet metal issues on his ride. This caused Vern to have to go to the end of the line. By lap 20, both Proud and LaFave pulled off the track to be credited with twelfth and thirteenth, respectively. With fifteen laps to go, the restarts were far from over for Losurdo as he again drag raced Brown into turn one to re-assume the lead heading down the backstretch approaching lap 17. On the long runs, Losurdo pulled away in the ‘Route 1 Mafia’ machine, but he yet again was forced to slow things down on lap 21 for a tangle on the backstraightaway involving Mike Bruce and Dennis Richmond. Losurdo again walked away from the Hedger No. 13 of Brown on the ensuing restart and for at least a few more laps it appeared as if the lap 21 tangle would be the final slowdown in the ‘May Meltdown,’ but Anthony would have to do it on more than one occorence yet again as Bruce spun in turn 1 with a mere six circuits remaining. Sure enough, it would turn out that the lap 24 spin by Bruce was still not the final caution flag of the evening as after another dominating restart, Losurdo walked away from Brown for only two more laps before heartbreak struck for third place running LaTulip. In his return to racing for the first time in three seasons, LaTulip was impressive all night long and seemingly preparing to pass Brown for second before the throttle cable came loose on his No. 27 to bring out the caution flag. This ended David’s night early. Despite all the cautions, nothing phased Losurdo as held on for one more restart and the final two laps to win the inaugural running of the Lighthouse Lanes SBS Series ‘May Meltdown’ ahead of Brown and Haynes on the podium. Rowe and Cliff completed the top five. Further back in the top ten, rookie Josh Sokolic was a very encouraging story as part of the action. Sokolic drove the sharp All Weather Power Equipment No. 26 to the sixth spot in just his second Small Block Supermodified race after starting eleventh. With Sokolic the evening’s hard charger, Cameron Black, James Babcock, Richmond and Bruce filled out the remaining spots within the top ten. LaTulip, Proud, LaFave, Barry Kingsley, and Tyler Henry all did not finish, while Greg O’Connor was also on hand, but did not start due to mechanical issues following the afternoon’s hot lap sessions. Brown, Cliff, and Losurdo won the three Lighthouse Lanes SBS Series heat races on the evening. With the season opening ‘May Meltdown’ in the books, the Small Block Supers begin their Oswego Speedway schedule this Saturday, May 19 at Open Practice before attention shifts to Opening Day on Saturday, May 26 featuring the Tony White Memorial 35-lap main. The Lighthouse Lanes SBS Series picks up action again on Friday, June 29 for a 30-lap event at the Spencer Speedway in Williamson, NY. It will be the series’ first ever appearance at the Wayne County oval. 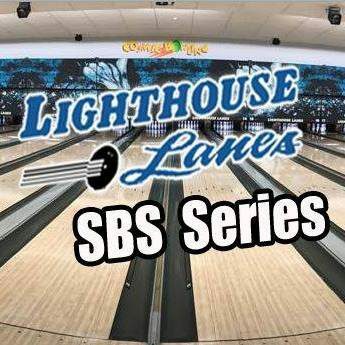 For more information on the Lighthouse Lanes SBS Series, be sure to visit online at LighthouseLanesSBSSeries.com. You can also FOLLOW on Twitter @LHLSBSupers or LIKE on Facebook at Facebook.com/LighthouseLanesSBS.